Licorice "Licky" | Spay and Save, Inc.
Licky was being cared for in an East Norriton colony by a kind woman. He loves his newly found indoor life and wants a forever home. 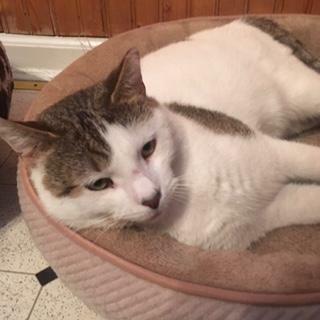 Licky is a really sweey guy, good with other cats and would make a wonderful addition to a loving home. Only apply if seriously committed to his 10-15 year life span.